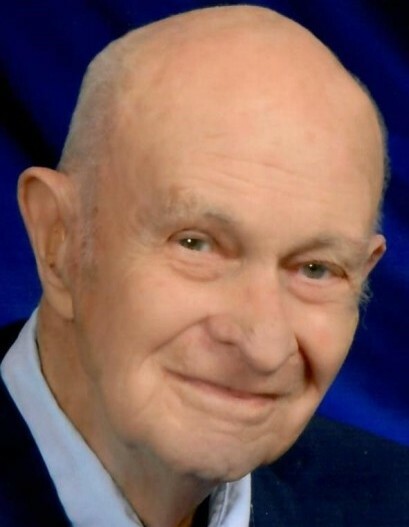 Clement P. Cunningham, M.D., 96, of Rock Island, died Sunday, September 2, 2018 at Heartland Health Care Center, Moline. A Mass of Christian burial will be 11 a.m. Friday at St. Pius X Catholic Church, Rock Island. Entombment will be at Calvary Mausoleum, Rock Island, where military honors will be presented. A rosary will be recited at 4 p.m. Thursday at Wheelan-Pressly Funeral Home and Crematory, Rock Island, followed by the Father Edward J. Bader Assembly Fourth Degree Knights of Columbus Chalice Presentation. Visitation will follow from 4:30 – 7 p.m. at the funeral home. Memorials may be made in care of St. Pius X Catholic Church, Alleman High School or Jordan Catholic School, all of Rock Island. Dr. Cunningham was born in Rock Island on April 13, 1922, a son of John J. and Mary Ann Boyle Cunningham. He married Florence McDonald on July 12, 1947, at St. Catherine of Siena Catholic Church, Oak Park, Ill.
Dr. Cunningham was a U.S. Army veteran who served during World War II. He graduated from St. Ambrose College, Davenport, in 1942, Stritch School of Medicine, Chicago, in 1945 and served his internship at Cook County Hospital from 1945-1946. Dr. Cunningham served on the medical staff at St. Anthony’s Hospital, Rock Island, serving as president in 1959. He continued on the medical staff at Franciscan Hospital, currently UPH – Trinity, Rock Island, serving nine years on the board of trustees as well as nine years as a member and officer of the board of trustees at the Robert Young Mental Health Center. Dr. Cunningham was also a member and past president of the Rock Island County Medical Society and a physician member of the Rock Island County Public Health Clinic treating the indigent of the county. Dr. Cunningham was a charter member of St. Pius X Catholic Church where he served as Eucharistic minister and was member of the St. Vincent De Paul Society. In addition, Dr. Cunningham was a member of the Sacred Heart Catholic Church, Rock Island. He was also a member of the Allouez Council 658 Knights of Columbus, Edward J. Bader Assembly Fourth Degree Knights of Columbus and the Moline American Legion Post 246. Dr. Cunningham received papal honors from His Holiness John Paul II and was installed as a Knight of the Order of St. Gregory. He also received the Thomas More award from the National Council of Catholic Men. Survivors include his children, Patrick (Jane) Cunningham, M.D., Rock Island, Gregory (Janaan) Cunningham, Franklin, Wisc., Kathleen Yeager, Rock Island and James Cunningham, Rock Island; grandchildren, Brian (Julie) Cunningham, Casey Cunningham and Paul (Angela) Cunningham and Daniel, Charlene and Cory Yeager; and 2 great-grandchildren, Evelyn and Alex Cunningham. He was preceded in death by his wife, parents and siblings, Judge John Cunningham, Dr. Glen D. Cunningham, Madge Bernbrook, Cecelia Cunningham and Rev. Monsignor Ambrose Cunningham.